Walter Earl Lewis was born in Memphis, Tennessee on April 29, 1949, to the late Jimmy McCloud and Mary Jane Lewis. 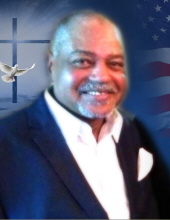 Walter Lewis confessed Christ at an early age at Holy Names Catholic Church under the leadership of Father Milton Guthrie and later joined Greater Memphis Pentecostal Assembly. In 1980, he was united in Holy Matrimony to Doll E. Brown. He was preceded in death by his parents, five siblings, Robert Lewis, Willie Lewis, James Lewis, Rosalind Lewis, and Michael Lewis; and two-brothers-in-law Henry Briggs and Daryl Brown and one sister-in-law Josephine Lewis. He was a graduate of Manassas High School in Memphis, Tennessee. After High School, he joined the United States Navy where he served our Country in the Vietnam War. He worked for The Defense Depot for over 20 years. He was a lover of many sports, TV shows and movies. He loved talking to people, visiting Crockett Street daily and never met a stranger. He suddenly departed his earthly life Monday, February 4, 2019, at Baptist Memorial Hospital-Collierville. Walter Lewis leaves to cherish his loving memories: his wife of 38 years Doll Lewis, two daughters Marcella Sain (Wendell) and Erica Washington (Antwuan), two sisters, Juanita Briggs and Margaret Vaughn (Vincent); two brothers, Richard (Faye) Lewis and Franklin Lewis; three grandchildren Anessa Sain, Alisa Sain, and Alunna Sain. two sisters-in-law; Novella Brown, and Jennifer Brown-Coger (Richard); four brother-in-law’s Emmett Brown Jr. (Shirley), Marcellus Brown (Belinda) of Los Angeles CA, Lorenzo Brown (Kim) of Atlanta GA, Claudius Brown (Michelle) of Dallas TX; and a host of nieces, nephews, other relatives and friends. To send flowers or a remembrance gift to the family of Walter Earl Lewis, please visit our Tribute Store. "Email Address" would like to share the life celebration of Walter Earl Lewis. Click on the "link" to go to share a favorite memory or leave a condolence message for the family.